Composer Errollyn Wallen talks about the making of her eleven operas, revealing the fascinating processes of her art. She will also be including examples from her next opera, YES, with librettist Bonnie Greer. YES has been commissioned by the Royal Opera House and will premiere at Linbury Studio Theatre in November. Telling the Stories of Our Time will include live performance. Errollyn studied in London and Cambridge. She has performed as a keyboard player with numerous bands, wrote the music and performed live as a tap-dancing hostess on a 21-episode television game show and run a commercial recording studio. On becoming a full-time composer she formed her own group Ensemble X to perform her compositions. Widely commissioned (including the Royal Opera House, BBC and Royal Ballet) she has performed internationally and her award-winning music is featured on numerous recordings including the Brodsky Quartet’s Moodswings and the NMC Songbook CD. Errollyn’s own CDs include Meet Me at Harold Moores, The Girl in My Alphabet and Errollyn. All three have been to outer space on Space Shuttle Atlantis mission STS -115. In 2005 she won the BBC Radio 3 Listeners/British Composer Award. Her multi-media show Jordan Town was a sell-out hit at the Edinburgh Festival as was her opera The Silent Twins at Almeida Theatre in 2007. Errollyn has contributed to several books including a chapter in Navigating the Unknown published by Middlesex University Press. Recent performances include the acclaimed show Wallen with her brother Byron (at Tête à Tête: The Opera Festival, 2009) All the People of the World for the Hallé Orchestra, a tour of her oratorio Carbon 12: A Choral Symphony for WNO, the film Falling for Channel 4 and ABC television, Clothesburger, a children’s opera for Pegasus Opera and recent US premières by the American Composers Orchestra at Miller Theatre, New Juilliard Ensemble at the Museum of Modern Art and her own performance at this year’s Tanglewood Festival of Contemporary Music. The Errollyn Wallen Song Club is an ongoing labour of love, where the audience is invited to contribute and perform original songs. Errollyn is currently writing the music for a four-part BBC One drama, One Night, directed by David Evans, starring Douglas Hodge and Jessica Hynes. 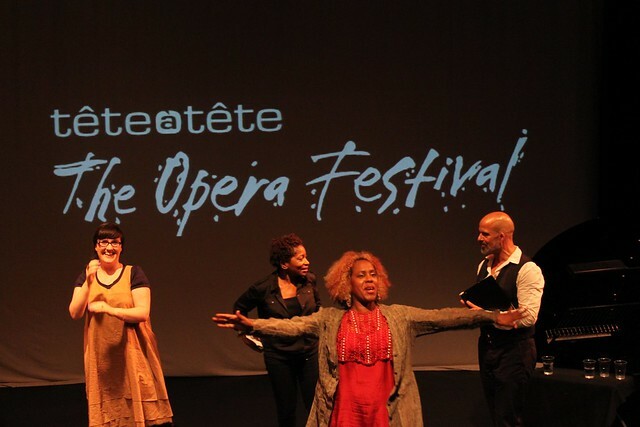 Her opera Cautionary Tales for Opera North (Hilaire Belloc, adapted by Pia Furtado) was premiered this year to critical acclaim and her latest opera, YES, with libretto by Bonnie Greer, will premiere at Linbury Studio Theatre, Royal Opera House, in November, making a total of 11 operas in her output so far. Omar is a singer and actor associated with new music concerts and operas. He has performed with the major new music ensembles in Europe as well as at Covent Garden and Glyndebourne Opera. Most recently he premiered Liza Lim’s Tongue of the invisible with the Musik Fabrik in cologne as part of their twentieth birthday celebrations. Bonnie is an award winning author and playwright, born in Chicago. She is the author of two novels: Hanging By Her Teeth and Entropy and a memoir/ music history Obama Music.(2009). Her biography of Langston Hughes The Value of Contradiction was published this summer. Her latest play, Marilyn And Ella ran at The Apollo Theatre West End in November, 2009, after a sold-out run at the Edinburgh Festival in 2007.